Construction is expected to begin in 2019 on the new Marion YMCA. This project, stems from the original Imagine8 process of nearly ten years ago. The Marion Parks and Recreation staff have been working behind the scenes with YMCA staff to develop a community programming plan for the facility giving people of all ages better access to recreation facilities and quality programs. With a goal to complete construction in late 2019/early 2020, this new state-of-the-art facility will be a crown jewel in the community. The facility will be located at the corner of Irish Drive and Tower Terrace Road. 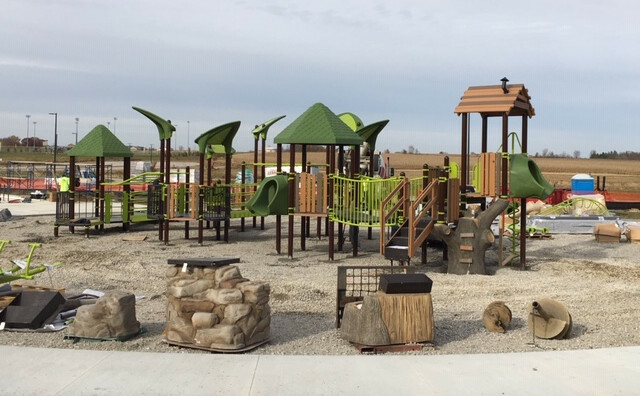 The City of Marion is excited to offer a playground unique to Marion which offers a child or adult who may be unable to access swings, jungle gyms and other playground equipment at typical playgrounds the freedom to participate fully in outdoor fun. While construction of the all-inclusive playground is already underway, funding is needed to assure the scope of the project is not diminished, that completion date by the contractor is possible and that attention is given to other Marion parks so they will remain welcoming and functional recreational space throughout the community. If you're interested in helping Make It Happen, donations can be made at https://www.gofundme.com/loweparkplayground. Spohn Ranch set the main ramp components earlier this fall.There is still quite a bit of ground work to be completed so please stay out of the construction zone. Watch for construction updates on our website. 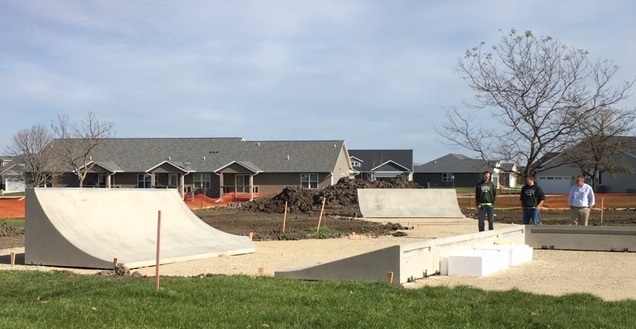 The skate park will officially open in the spring of 2019. The first pieces of the all-inclusive playground, situated near the Irish Drive entrance to Lowe Park, have been installed. Construction on the playground area and restrooms will continue over the winter months. The new amenities are scheduled to be completed by June 30, 2019. We ask that you stay out of the construction zone. It may be tempting to give the playground equipment a try, however, there is quite a bit of ground work and surfacing to be completed in the spring when the temperatures begin to warm up. With a goal to be the healthiest city in the state and a vision to be the best place in Iowa to raise a family, the City of Marion has made the commitment to smoke-free, nicotine-free and tobacco-free parks and trails.Smoking or the use of tobacco, nicotine products, and vaporizers will not be allowed in City parks or trails. Violators will be subject to a $50 fine. Alcohol permits are required for Lowe Park and Thomas Park Safe Room facility rentals if you intend to serve alcohol at your function. Requests are reviewed by the Marion Parks and Recreation Director with a $25 non-refundable application fee. No kegs or hard liquor are permitted at these facilities. For park pavilion rentals, no kegs or hard liquor are permitted per city ordinance. No alcohol is allowed at high school graduation parties. All parks will close at 10:00 p.m. according to city ordinance. Pets shall be kept on a leash in all park areas, including all walking trails and Oak Shade Cemetery. Pets are not allowed in pavilions or within 100 feet of food vendors, playgrounds, ball fields, or swimming pools. Pets are not allowed at large community functions such as the events held at City Square or Lowe Park. Horses and motorized vehicles are not allowed on any city trails at anytime. Stay alert, walk/ride to the right side of the path and announce “Passing on your left” when passing another user on the trail.